These are some pics I thought I would share when I was out car camping about 1 year ago. 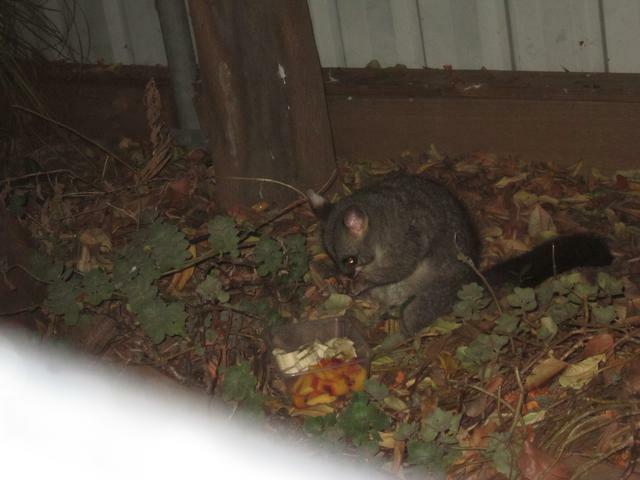 A Ring tailed possum came up to my wagon, so I decided to open my back door and feed him some fruit. 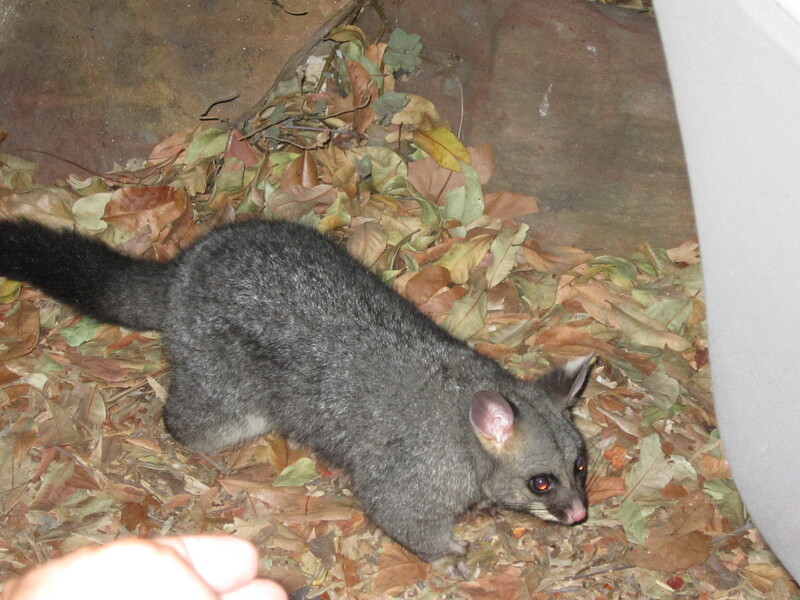 Well, I held my hand out flat so he wouldn't bite me, but it was dark, hard to reach down from the car & I was a bit fatigues from luring him to the car & feeding him. He ended up biting the end of my middle finger, or more so biting it and not letting it go! OMG! Did it hurt! He did not draw blood, but he crushed my nail. His teeth were blunt, so I managed to pull my finger out of his mouth & it hurt like hell. Not recommended folks! I don't think he meant to do it- I think he thought my hand was the fruit, as I had been eating fruit myself & my whole hand probably smelt like fruit! Free food what an idiot! Stealth camper? Huh, what do you know about stealth camping? You did not pay you're park entry fees buddy, so here's a BITE! Always keep my distance from those things no matter how cuddly they look. I bet he did. I can imagine the mess he made. Errr...! I didn't know that, but I can imagine they could be. Are there many where you are? I think I got off lightly. There is a guy on YouTube who has them in his living room. One day they got spooked and tore him up- imagine that inside a car! That is why I didn't encourage him inside the car. 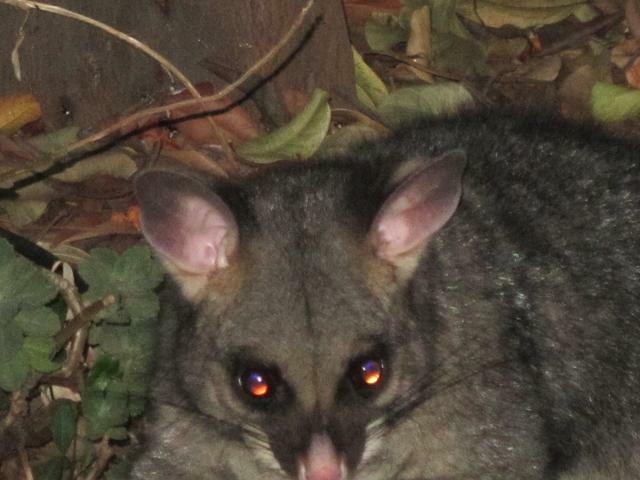 Much as I like our unique native animals and most look really cute they have their place. Out in the wilds is where they should be , best they do not get used to being fed by humans so they can keep their foraging skills. At least at public campsites where kids give them food so they are used to being fed they can be quite a nuisance. 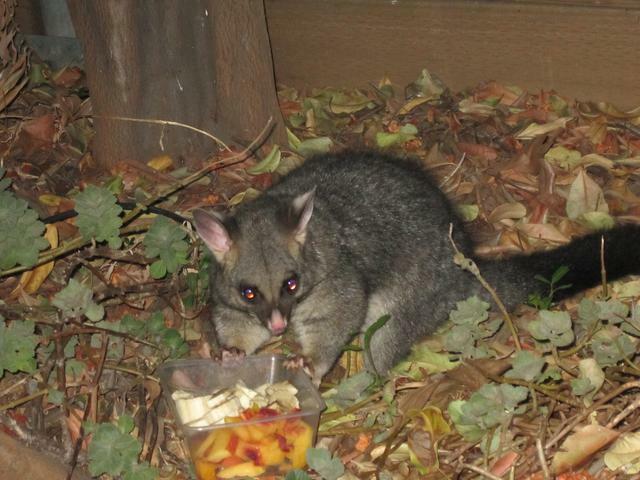 Anything that is food related has to be put away in the car so as to stop the maruding night time visitors.